This upgraded Venice model is located on a canal with no rear neighbors. 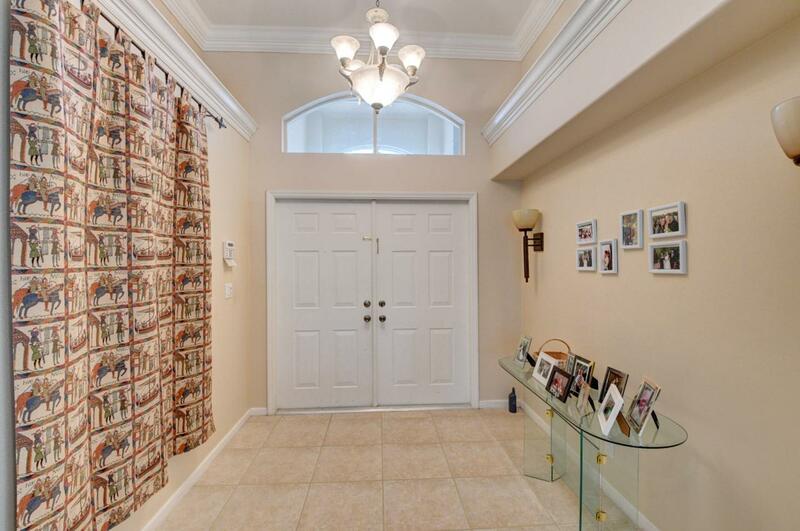 Itboasts crown molding in every room, tile floors throughout, matchedlighting fixtures, and Hunter-Douglas window treatments. The kitchen has maple cabinets with pullout drawers and child safety locks. The house has asplit bedroom layout. The large master suite has a large California walk-in closet and en suite with his and her vanities. The three other bedrooms all have closets with wood appointments. The furnished office will be included. 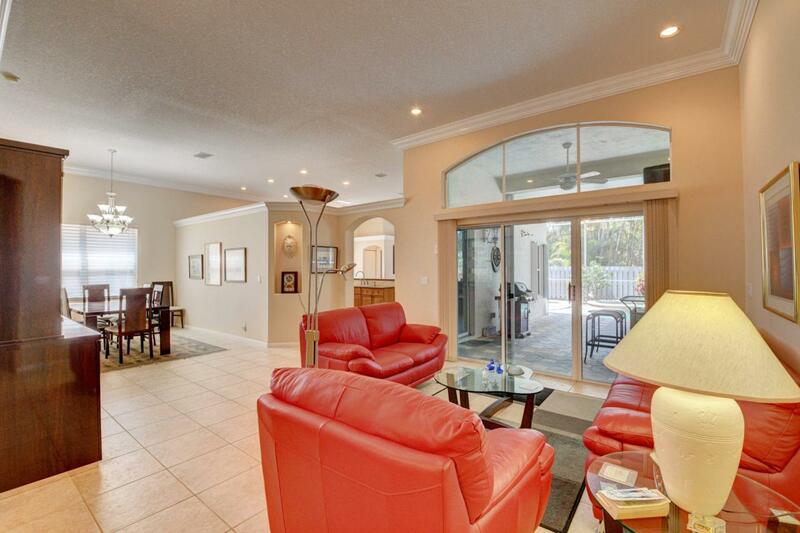 The family room has surround sound and a flat-screen TV. There is a separate laundry room with modern Duet washer and dryer. The house is alarmed with additional child alarms at each door leading to the backyard. 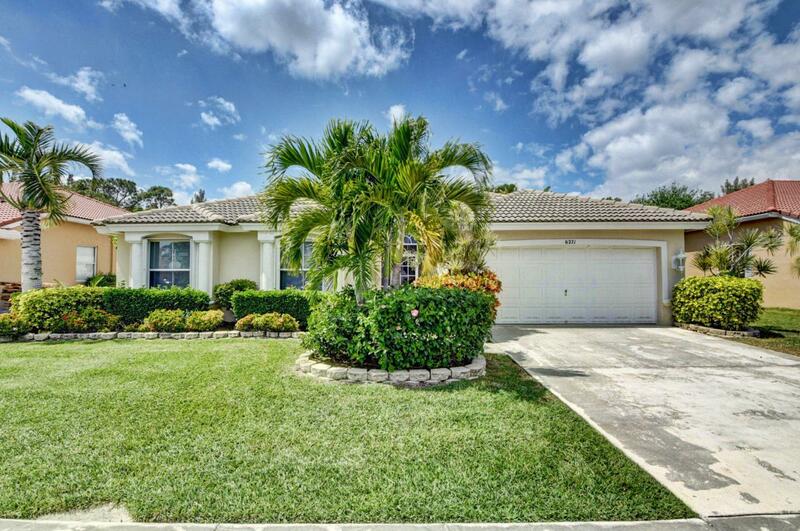 The two-car garage has some built-in cabinetry.The beautiful free form heated pool and patio have a Florida tropical appeal and are fully screened with a 10 foot wide extended roof. A wood fence adds to privacy and baby gates add to peace of mind. The exterior has attached accordion hurricane shutters. Winston Trails is a family friendly community with A-rated schools, two community pools, tennis courts, kiddy play grounds, a small clubhouse and affordable HOA dues includes Internet, cable TV and phone. 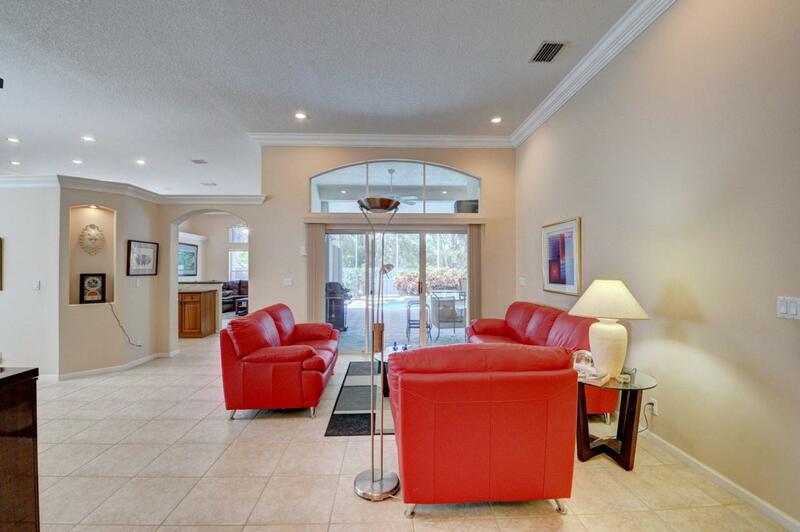 A fully equipped gym, an excellent 18-hole golf course, and a restaurant are on the grounds. The home is in move in condition.